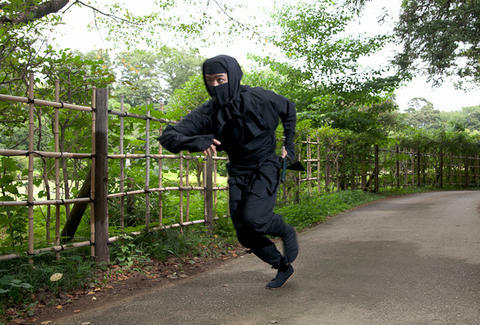 Do you ever find yourself pining to do long runs at night dressed up as a feudal Japanese assassin? Well, then stop playing Ninja Gaiden, and start participating in this officially-timed, eight-mile (with obstacles), after-dark downtown dash through the Charles River parks in which everyone sports ninja attire, wields (dull!) swords, and celebrates finishing by hurling windmill shuriken at the evil cult leader Jaquio. Or, maybe, two of those three.